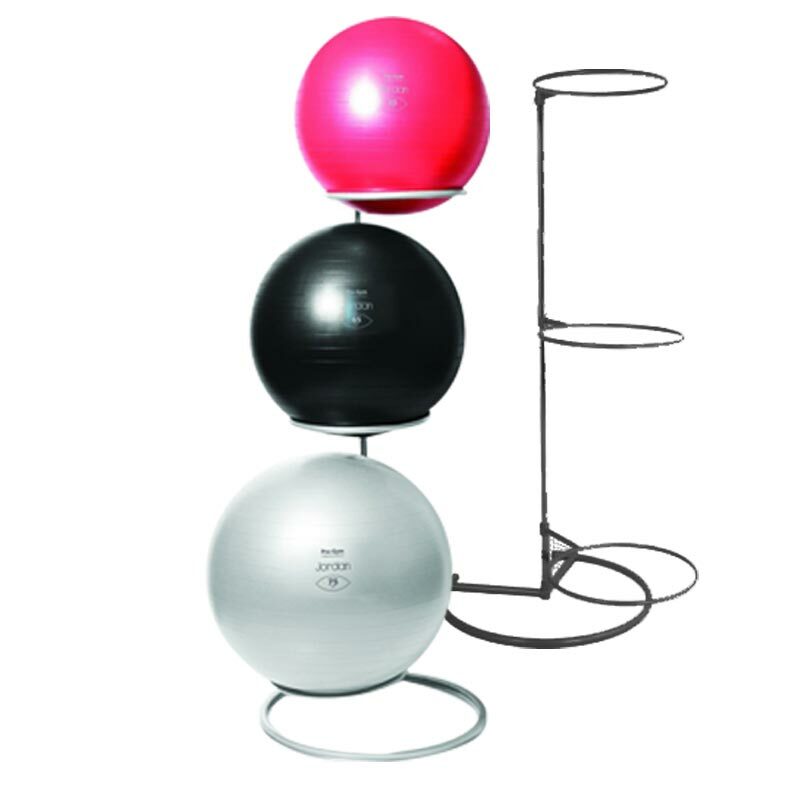 The Jordan ® Gym Ball Rack 3 Ball holds 3 balls with a multi adjustable position and height. Gym balls to order separately. Please note the upright on both the graphite grey and black rack is chrome.